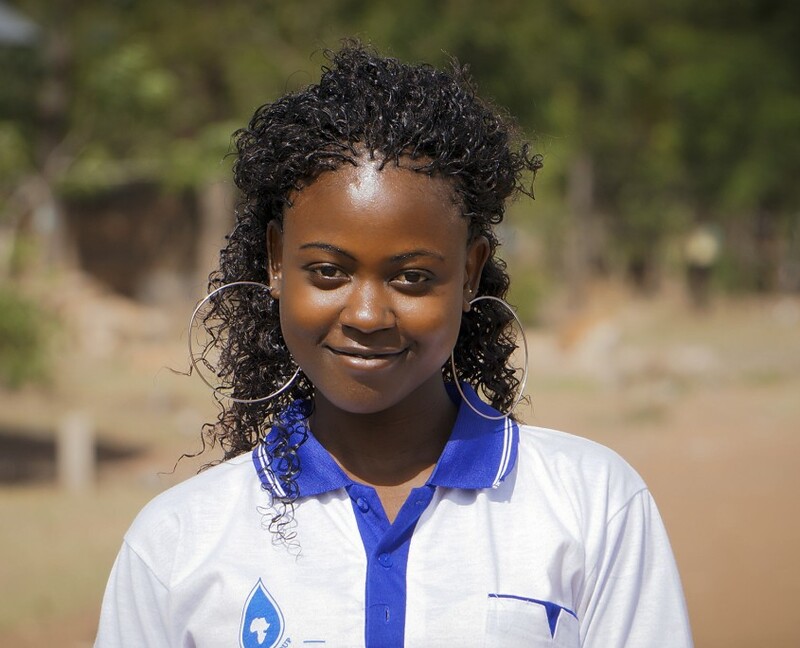 My name is Consolata, and I was born on February 12, 1992 at Bukoba Government Hospital. In 2009, I joined the Sisters of Little Servant of Mary in Lusaka, Zambia. In 2012, I returned home after I discovered that path was not my passion. In 2013, I gave birth to my son, Andrew Japhat. After this, I joined Maji Safi and started learning a lot about health and hygiene. Joining Maji Safi took away my fears about health and gave me confidence to give the community advice. Maji Safi has trained me in PHAST and CHAST to create a better understanding in the community when I teach. I am living my dream as a health facilitator for Maji Safi. 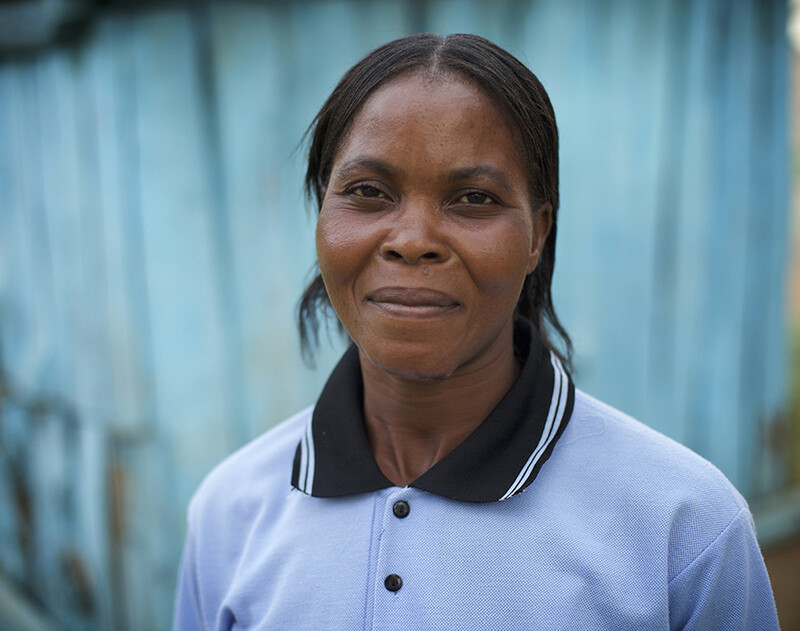 My name is Merciana, and I am a mama from the Masonga village in the Rorya District. I finished my primary education at Masonga in 2000. In 2001, I got married and started working as a farmer and doing housework as a house mama. After five years of marriage, I was able to continue with my secondary education, but I had two boys, and they brought a lot of challenges. It was tough being a mama and a student. After finishing form four grade level, I continued doing my household activities, and I was also able to farm corn and use the harvest as a business. In 2013, I was lucky and got a job with Maji Safi, and it has helped me build my understanding of health and environmental cleanliness. It has given me the ability to protect my family from disease and to build their ability to protect themselves. 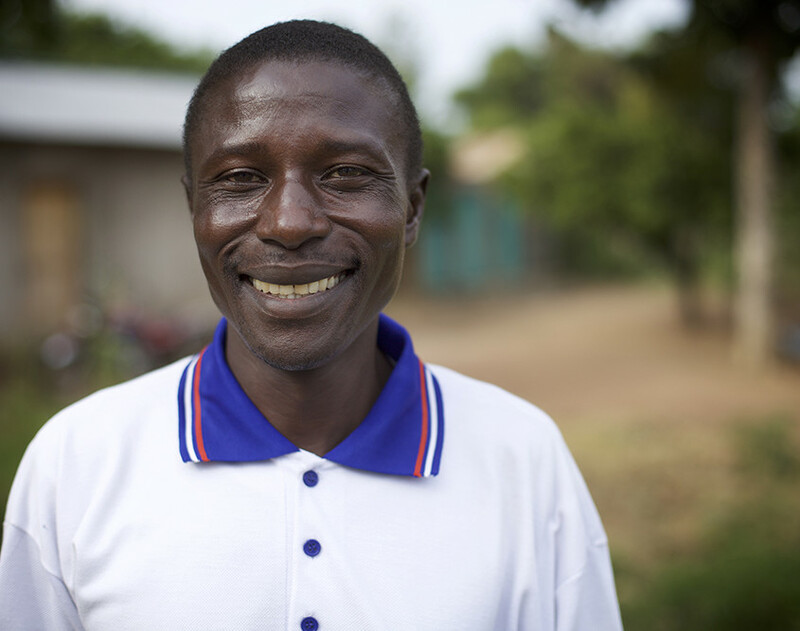 Maji Safi has plans to continue giving health education within villages that are close and far. This means that the community can leave behind the problems of waterborne diseases. My name is Winner, and I was born in 1986 in Buturu in the Rorya District. I started school in 1995 and finished my primary education in 2001. After this, I decided to find a life partner. After I got married, I became pregnant and had twins in 2005—one girl and one boy. I had our second son a little while later. I am very thankful for Maji Safi’s education. I did not know the importance of using a toilet or even the importance of treating water. I used to drink untreated water, and I even had a toilet, but did not use it. 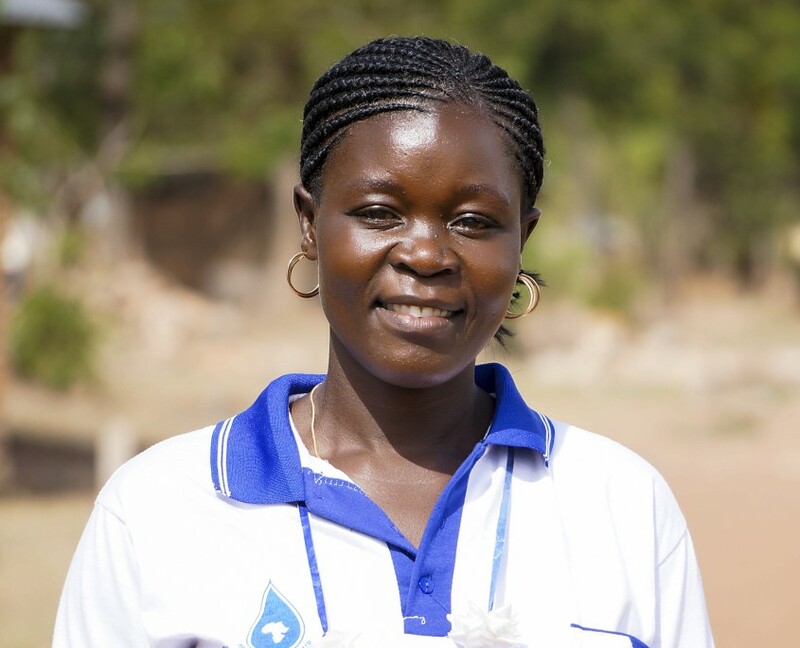 Maji Safi taught me the importance of using a toilet and disease prevention. Hello. My name is Jacob Nyataga Nyangoye. I live in Michire, a village in Shirati right on the shore of Lake Victoria. Before I started working with Maji Safi, I was a full-time fisherman. 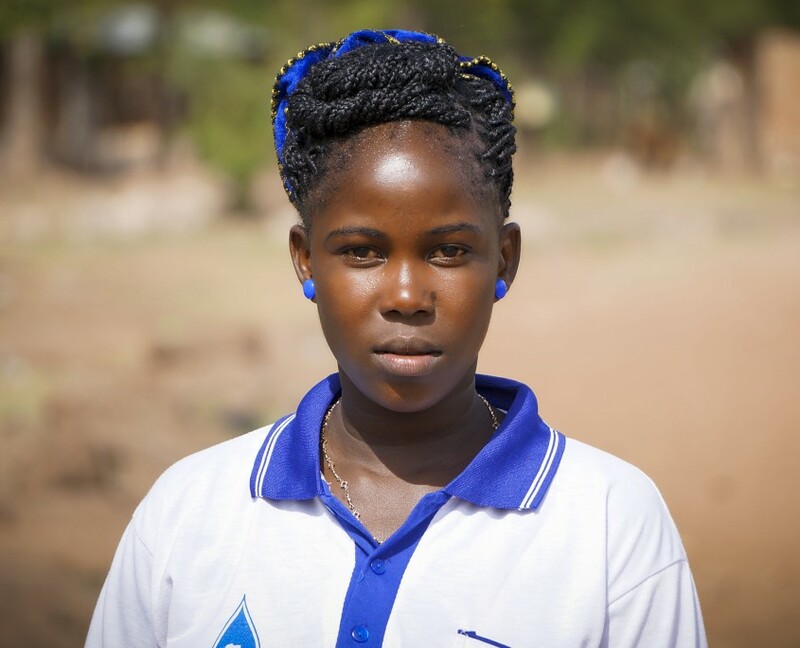 When I finished my secondary school education, I returned home because of a lack of money for school fees. I worked for many years as a subsistence farmer and fisherman, earning just enough to feed my family. Today, I have a wife and four children, and my parents also depend on me to live. From my perspective, Maji Safi has started a community-wide campaign to eradicate poverty in the Shirati area. By providing practical information that can be practiced at the household level, the number of preventable diseases has decreased greatly. 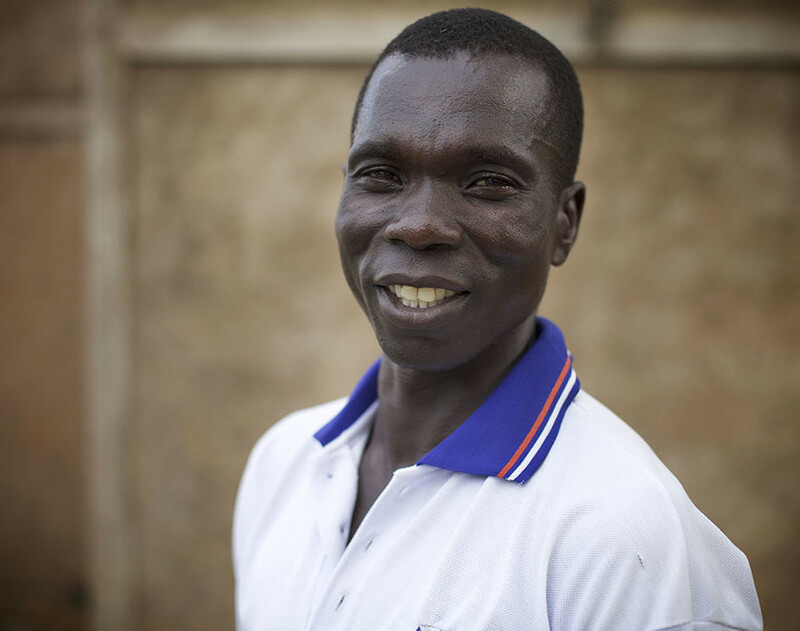 Maji Safi is educating and motivating the community to move away from a downward cycle of disease. I believe we at Maji Safi do a great job of educating the community members about sanitation and hygiene issues, while empowering them to make positive changes in their behavior. This benefits the participating families and the community as a whole. My hope is for us to provide information to every single household to prevent infections and diseases that arise from a lack of health education. Maji Safi’s education campaign is changing the Shirati community’s perspective in four major areas: the dangers of hand-to-mouth infections, treating drinking water, the economic importance of disease prevention, and the importance of recognizing early signs and symptoms of disease. People who never used to treat their water have now started to use chlorine and other methods that Maji Safi recommends. These water treatment methods work because they are cheap and take little time. Personally, Maji Safi has changed me greatly. From the CHE training, I now know how to prevent many water-related diseases and how to facilitate discussions with different groups in my community. I have also become a firm believer that disease prevention has a bigger impact on a community than just disease treatment alone. As a CHE, I love working with children, and I am currently co-leading the After School Program. This program helps the children develop personally and provides them with information that can keep them healthy and in school. Kids are great observers, especially when it comes to the environment and disease prevention. Working with children helps encourage community understanding because they are fast learners, and it is easy for them to pass information from one child to the next. To be honest, I have faced much adversity in my life. I am both an orphan and a widow. I live in Shirati, so I can raise my granddaughter and make sure that she has a good life. I am Jared. I live in Michire, Shirati, Tanzania. 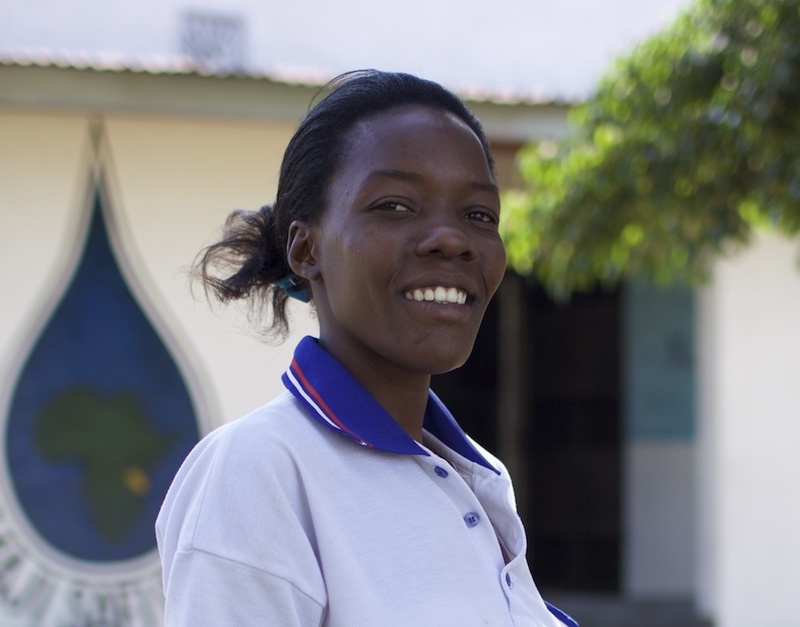 After completing my primary education in Michire, I continued secondary schooling in the city of Mwanza. I currently live in my family’s compound with my family of five. Before joining Maji Safi, I was a farmer. During that time, providing enough food for the family was always a problem. 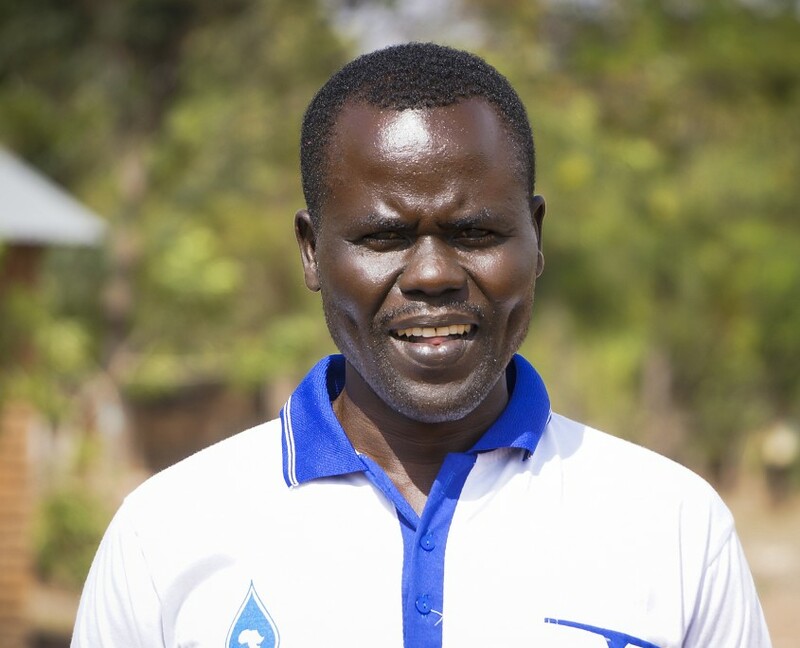 Maji Safi educates villagers in my community on how to avoid preventable diseases. My favorite topic to discuss at Home Visits is how preventing disease can save families money in the long term. This discussion will help them avoid absences from work and school as well as expensive hospital bills. I think that Maji Safi has been successful and will continue to be successful because we work with all sections of the community and speak to them in a way that they can understand. My name is Prisca Julius. Before joining Maji Safi, my life was difficult. I only finished one year of secondary school because I got married and had a child. I then lived with my husband until he passed away, after which I moved back to my parents’ house and worked as a trainee at a tailor’s shop. I enjoy being an ambassador for Maji Safi because the job allows me to improve my community. As a leader of the Singing and Dance Group, I am very happy to come to work every day. The children in the Singing and Dance Group have discovered their ability to communicate positive messages through their performances. You now hear the group’s songs all over town. The students have also found a supportive place where they can get extra academic attention. Many of the kids do not know how to read, so we are working on that. My name is Mwamvua, and I was born in 1993 at Shirati Hospital. In 2006, I finished primary school and went on to complete secondary school and earn my form four grade level by 2010. After graduating, I became a seamstress and helped my mom run her restaurant. On July 16, 2011, I had my daughter, Vivian Benedictor. In 2013, I joined Maji Safi and after six months became a full-time CHE. Thanks to Maji Safi, I have learned the importance of preventing disease and have shared this knowledge with community families. On June 12, 2013, I signed a one-year contract to continue teaching the community—especially women and youth—about public health and the environment. Women and children can bring a big change within their family and the community. I have become an ambassador of education and economics and have brought change within my family and community. I want to continue teaching about health with Maji Safi to further development within the community. My name is Lilian Kayuni, and I was born in the year 1981 in the village of Nyamasanda, Shirati. In 1999, I graduated from secondary school. After finishing school, I lived at home with my parents, and later I decided to get married. Now, I live with my husband and our two beautiful daughters. In 2013, I became a CHE for Maji Safi. I really like teaching the community, and this education has even changed my own life. I have learned how to treat water and how to use chlorine. Before, I did not know there were diseases you could prevent without going to the hospital. I am so thankful to Maji Safi for allowing me to work and educate my community, so people can change like me. My name is Aska, and I was born in the village of Michire in 1973. I finished my primary school education in 1989 from Michire Primary School, but was not able to keep attending school because of the inability to pay school fees. Since I was not able to continue with school, I decided to get married and had seven children with my husband. Tragically, two of my children as well as my husband passed away, so I am now a single mom with five children. In 2013, I joined the MSG team as the office receptionist after having been a program participant. I started studying MSG’s lessons, and after working with MSG for a while, I was qualified to become a Community Health Educator. I now enjoy teaching the community about preventing WASH diseases. I am thankful for MSG because they give the community free health education, and I have been able to improve my own habits while also enabling the community. 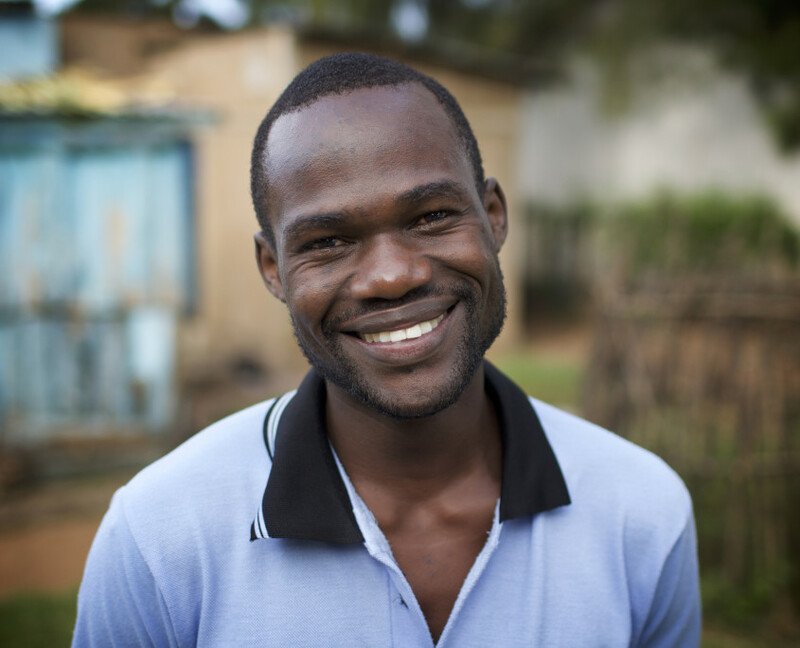 My name is Freddy, and I am a 24-year-old Tanzanian, who was raised in Kenya. I finished secondary school in 2007. I was a basketball captain, and I loved studying science. After graduating, I worked as an Awana teacher, educating children about Christ and organizing different kinds of games. Later, I worked as an interpreter for the Bible Baptist Church visitor program, traveling to different places in Kenya. I returned to Tanzania in 2012 where I worked as a teacher for Compassion International and later joined MSG as a contracted drama and dance instructor. In January 2016, I joined the MSG team as a full-time employee and I continue to enjoy my work. 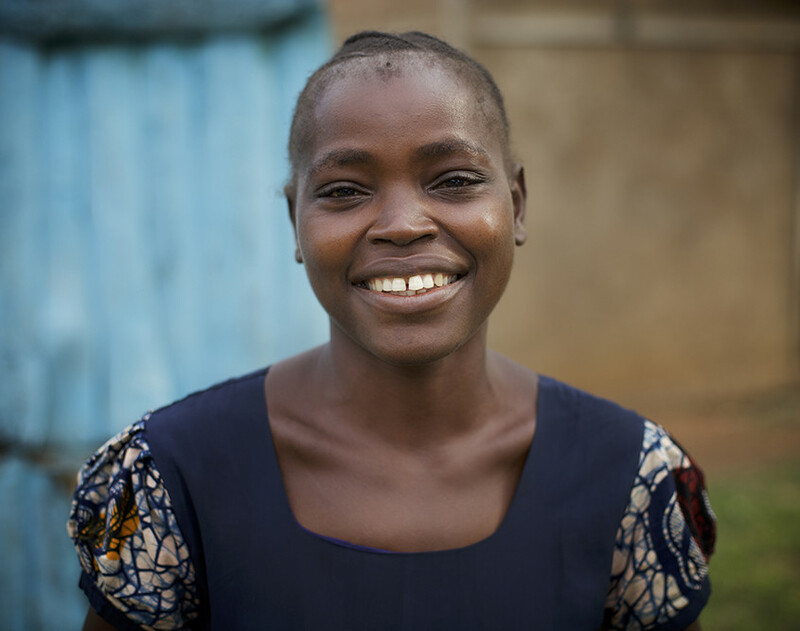 My name is Sikujua, and I am 28 years old and the mother of two children. I have a secondary education. In 2014, I joined the MSG team. I am now an experienced Community Health Educator. I am happy to be part of MSG because I continue to learn new things about diseases and other important things. My salary from MSG helps me run my life, and I love working with children in our After School and Singing and Dance Programs. I am excited to keep working for MSG in the future. My name is Diana, and I have lived in Shirati my whole life. After finishing secondary school, I took classes at a local computer school. However, when I heard about Maji Safi Group, I was excited and decided I wanted to join the group. I have now been a CHE for more than five years with MSG, and I fight the spread of preventable diseases in my community. I work with children in the Singing and Dance Program. Through singing and dancing, the students learn about the importance of being healthy. Also, through their performances, they’re able to share their ideas about disease prevention with other kids and their community in general. MSG helps my community understand the importance of improving hygienic and sanitary conditions to prevent disease. My name is Magdalena, and I am the sixth child in my family. After graduating from secondary school, I learned how to type and worked in a secretary shop. In March 2015, while working as a typist, I joined the community cleanup group that partners with Maji Safi Group. After volunteering for the group for a year, I joined the MSG team in March 2016, and I am still very happy to be working there. 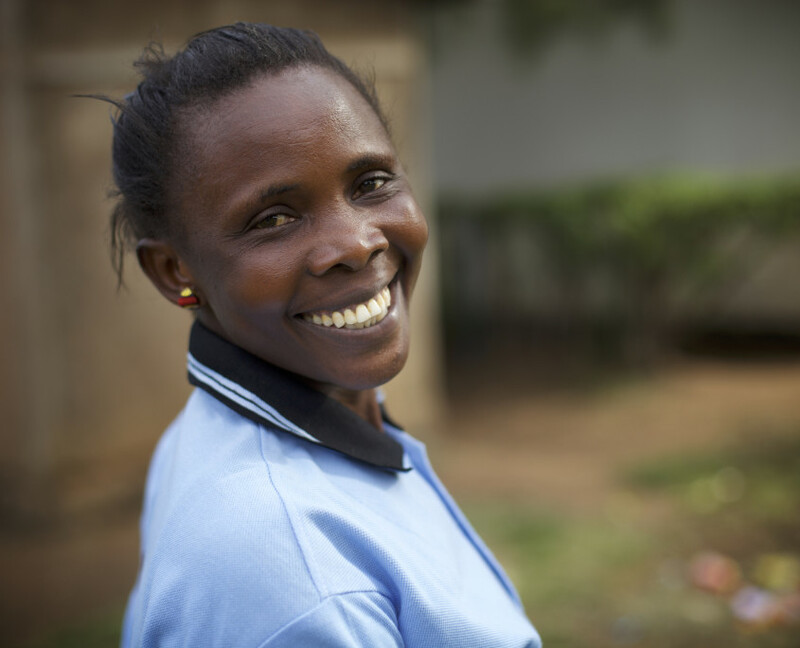 My name is Rosa, and I am the third child in a family of six in Kirongwe. I was born in 1996 and raised by my grandma. I went to school in the Homabay District of Kenya. 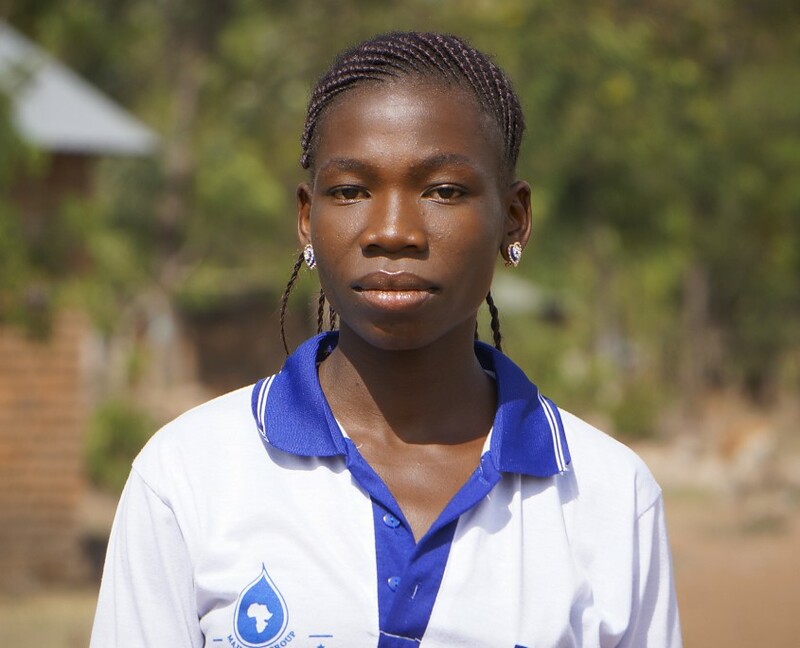 I finished my primary education at the Osani Hills Academy in 2009 and went on to finish my secondary education at Nyamongo Girls High School. 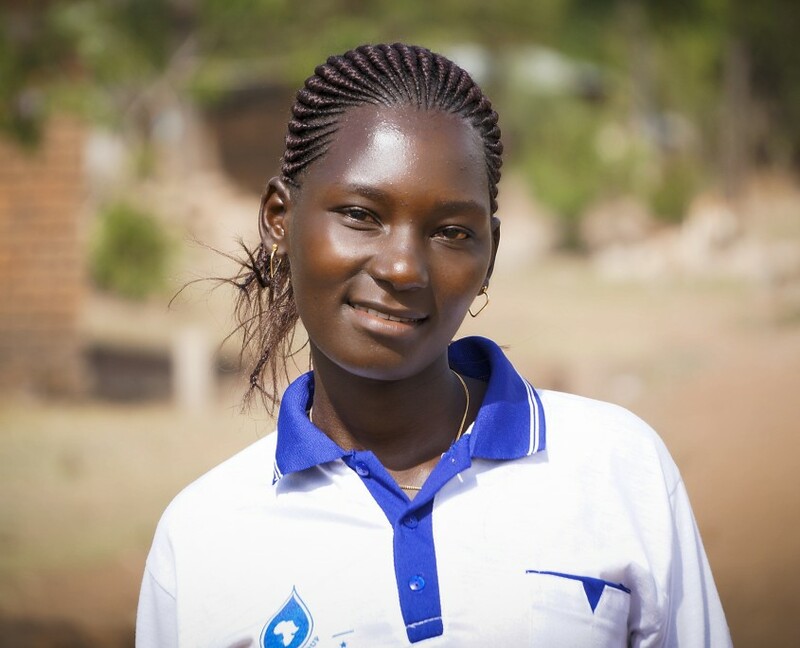 After finishing secondary school, I could not continue my dream of becoming a health worker due to the inability to pay school fees and moved back to live with my family in Shirati and help farm. I am the proud mother of my daughter, and she has taught me many lessons and makes me feel the responsibility of being a single mother. I am happy to be employed with MSG as a Community Health Educator. Continuing to work in the field makes me think I will one day reach my dream of being a health worker. It is so interesting to walk around in the communities and teach health education, especially teaching girls about hygiene and the different ways that they can prevent early marriage and dropping out of school thereby improving many of their lives. MSG is indeed doing great work for Tanzanians and has helped me both financially and morally. I understand the importance of keeping the environment clean and different ways of preventing diseases, which prevents spending money on curing diseases. My name is Rebeca Olango, and I live in Michire. I started school at Obwere Primary School, and when I finished, I joined form one at Raranya Secondary School. I stopped school in 2013, got married in 2014, and have been blessed with one child. When I got married, I started doing small businesses like selling fish and bananas. One day, I read Maji Safi Group’s job announcement. I was very happy for this because I liked the education that they give to the community about preventing disease instead of treating disease. I really love this work because the education is very inspiring. My name is Hezbon, and I was born in 1973 in the village of Michire. I graduated from Michire Primary School in 1989. In 1999, I started nursing school and got married. My wife and I have five children together. In 2016, I successfully went through MSG’s training and thus joined an organization that shared common interests with me to help community members prevent disease. It is important for community members to realize that preventing disease is more economical that treating disease. I am thankful that MSG chose to add me to their team, and in October 2016, I became a full-time employee. I really like all of MSG’s programs, especially the Home Visit Program, which enables community members to understand the health challenges in their home and share ideas on how to prevent disease. My name is Caroline Nyiyo, and I was born in the Mwanza Region. I went to Changuge Primary School in the Tarime District and finished in 1990 at Tabata Primary School in Dar es Saalam in the Ilala District. I went to secondary school from 1991-1994 in the Morogoro District. I got married in 2002, and I have five children. I worked as a seamstress, and life was good with my income. After joining Maji Safi Group, I received health and WASH education, and I am very happy going to schools and teaching the students about health education together with singing songs. I am very thankful for Maji Safi Group’s work in Tanzania and especially in our area of Shirati. My name is Grace Fransis, and I live in Michire. I got married when I was at Masike Primary School in the Kigunga Ward. I was lucky and continued school at Bwiru Girls Secondary in Mwanza. After finishing form four, I became a seamstress and sewed for a living. After I got the news that Maji Safi Group was looking for new Community Health Educators through their job posting, I was very excited about the chance to teach the community, help prevent diseases in children under five and mothers who live in tough environments, and give the community education about how to prevent disease instead of treating disease. I was very impressed by Maji Safi Group’s work, and I love working for them. 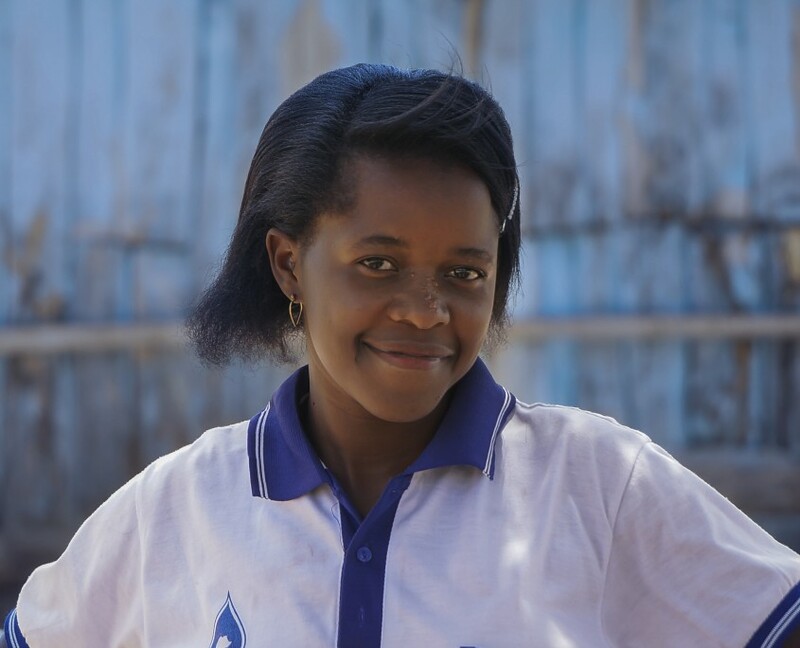 My name is Hellen, and I was born at the Shirati KMT Hospital in 1996. I come from the village of Kyariko in Shirati. I started primary school in 2003 at Shirati Primary and finished in 2009. I continued at Katuru Secondary School in 2010, but was not able to finish because of family problems in 2013. After leaving school, I was working at a small business and had my first daughter. In 2016, I succeeded in joining the MSG team, and I am still very happy to be working with them. I really love working for the community, and I am very thankful to have gotten here and want to keep working to reach my goals. 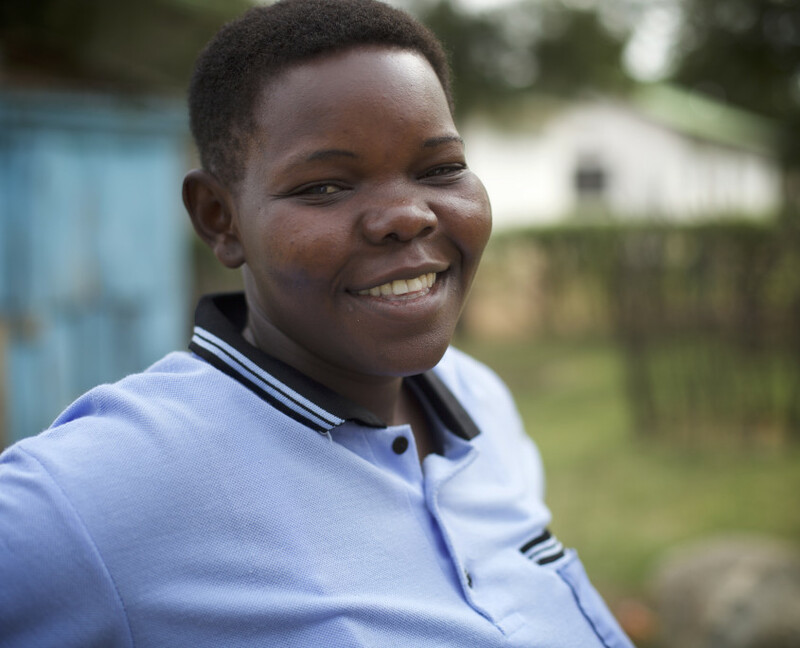 Linda went to Sr. Humphrey Teacher College in Kakamega, Kenya, and continued her studies at Impact Research in Kisumu, Kenya, where she focused on courses in HIV intervention and prevention. 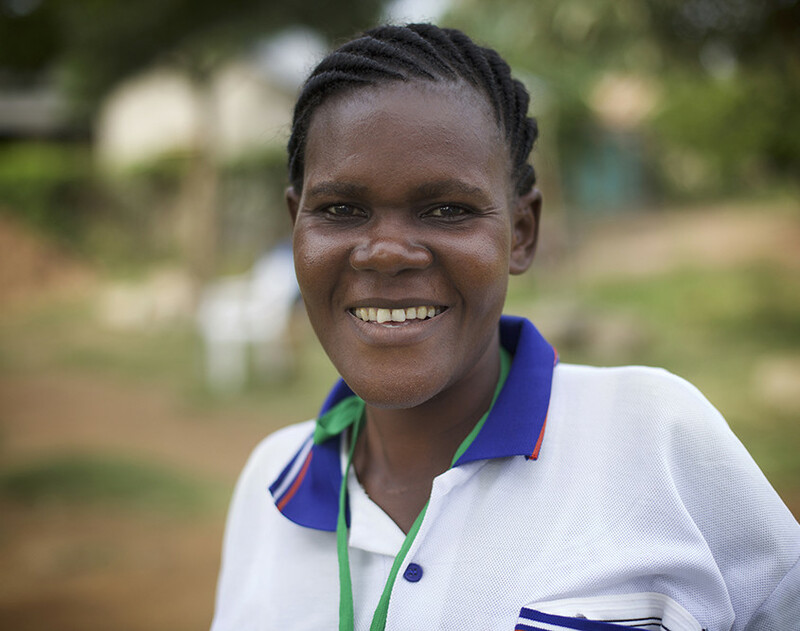 Following her studies, Linda worked as a peer educator at Tuungane Youth Center in Kisumu. 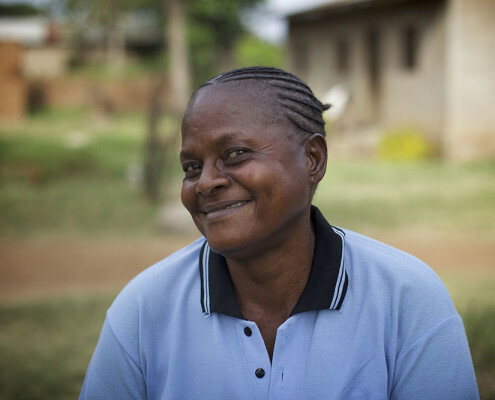 Additionally, Linda worked as a conflict-resolution counselor with HIV couples at New Nyanza General Hospital and as the patron of the Bewapol HIV support group in Kisumu. 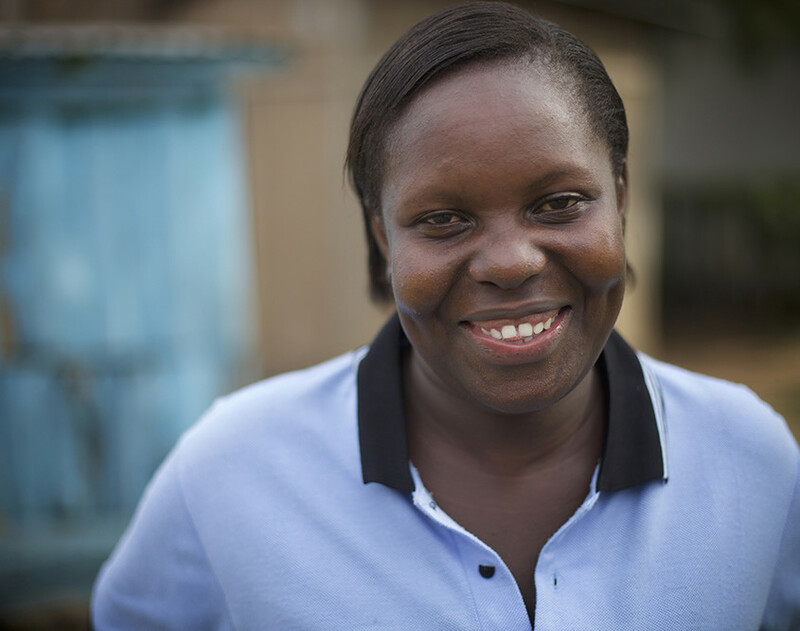 Linda currently works at Tina’s Educational Center as a primary school teacher and health educator for people living with HIV. 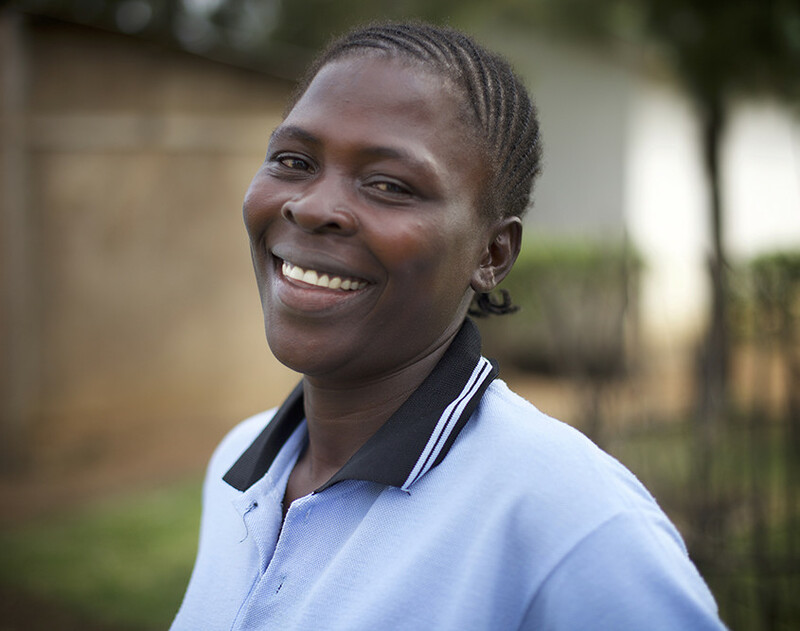 She has helped set up a support group for people with HIV at Tina’s Educational Center. 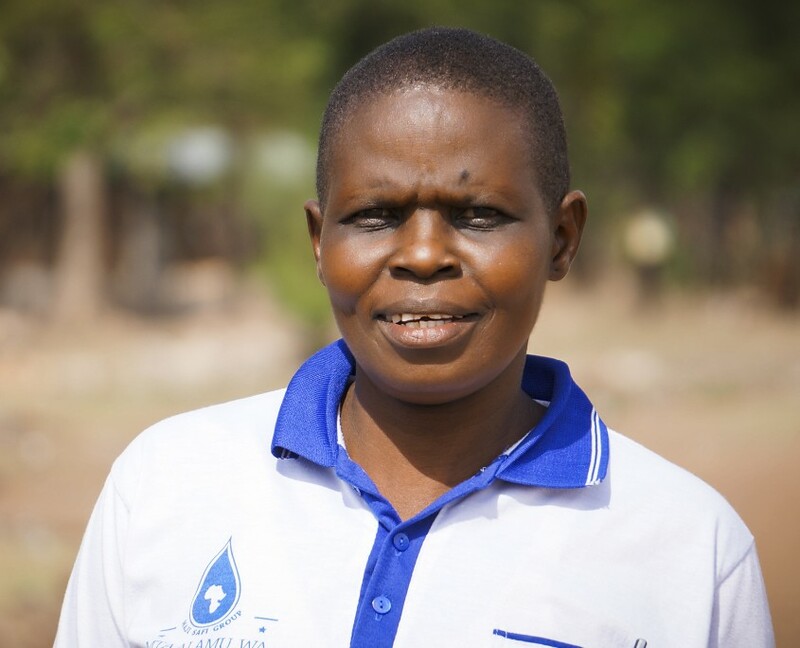 In 2013, Linda started working with Maji Safi as the Female Hygiene Program Coordinator. Since Linda has joined, the program has grown in numbers. She has become a valued mentor and role model for the young women in the program.